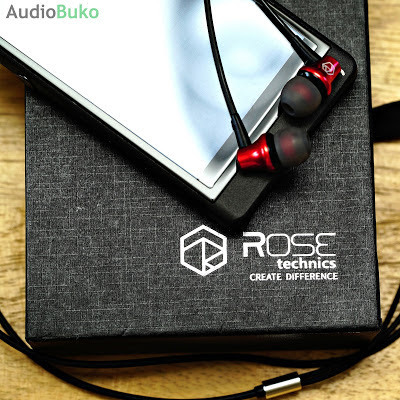 Rose Technics is a company that first gained fame with their Rose Masya earbuds and from then they started making more diverse products for the audiophile community like the North Forest, a dynamic driver driven IEM released around January that's aimed at the budget audiophile. 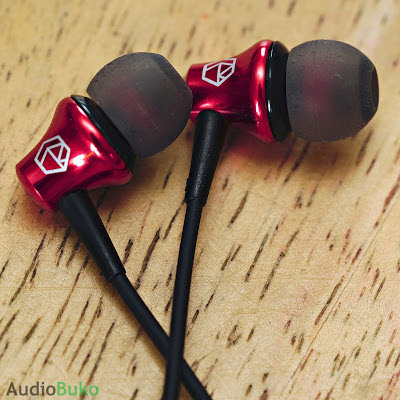 Let's explore this intriguing forest with a review but before that, I would like to thank Penon and Rose Technics for this review unit. The Rose North Forest comes in a sturdy black cardboard box that's covered by a slip off sleeve. Inside are the IEM's with fitted medium tips, and in the tray is 2 more pairs of silicone tips (Small and Large) as well as a double flange tip (white silicone), under the tray is space for the cable and nothing else. 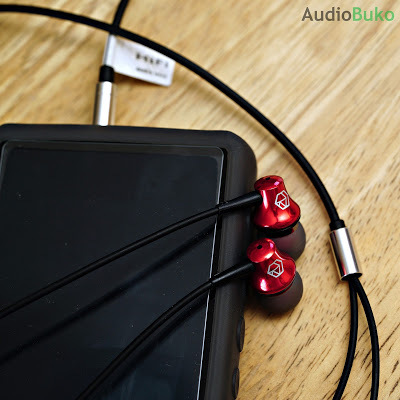 The North Forest is a single dynamic driver driven IEM house in an small aluminum case with plastic internal fittings, the simple design allows for easy fitting as a conventional earbud (wires dangling) or over the ear. 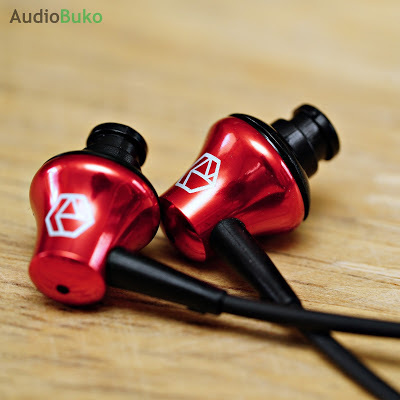 In either position, the light design of the IEM helps in providing comfort while wearing it. 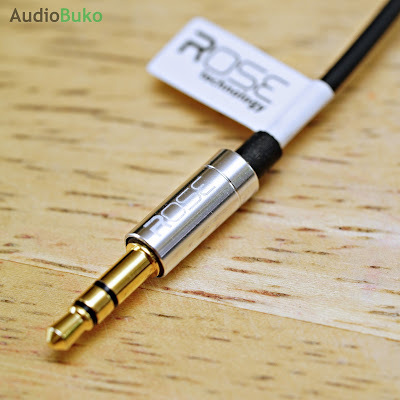 The wire near the IEM has good strain relief and has the L and R markings for each IEM's position, the cable is non-removable and comes in a no microphone model and one with a mic, this sample has no microphone and has a slightly rubbery wire, it has a tendency to retain some curves but generally is resistant to tangling. Though there is no chin strap, the splitter is plastic covered in silver aluminum and looks nice. The plug has a rose branding and is similarly made of aluminum, it is very thin so it'll fit through most phone or DAP cases with no issue. Overall, the build is good and sturdy and will likely last a long time. Bass: The sub-bass of the North Forest extends rather well to give a good amount of bass rumble that is clearly felt but is not along the levels of the Ibasso IT01 in terms of reach and quantity, the mid bass has enough punch to make it's presence known and possesses a good amount of body. North Forest has good decay enough for good resolution of complex bass tones and has enough speed to sound complimentary to the music and helps it to be engaging. Mids: There is a good amount of body with the North Forest, male vocals sound meaty with a good enough separation that the voices are not overwhelmed by the bass. Female vocals sound warm and smooth with a bit of intimacy but is treated nearly equally the same as male vocals as they occupy a neutral positioning. There may not be a lot of transparency in this area and there is a lack of crispness or definition but vocals come out clean and mixed with music provides a good and emotive progression. Highs: Are naturally extended without sounding sibilant or harsh as they sound like they belong in the song, some high pitch sounds may surprise you on higher volumes but are not piercing. One thing to note is the dip in the 10khz area that prevents cymbal crashes to bloom and may sound rolled off. There is body and a good amount of clarity in the treble area that is not fatiguing and fun to listen to. Soundstage: For something that's small, there is a moderate amount of stage for the music to play around that sounds natural, with decent width and some depth that prevents it from feeling congested (St. James), resolution overall is good enough to track instruments and voices and 3d positioning is fairly accurate. Conclusion: The Rose North Forest is a surprising IEM and shows just how far good tuning can get you at this budget range as it sounds musical where headbanging doesn't seem like a bad idea when listening to heavy rock or just thinking about your ex while listening to Adele, it's not gonna topple mid range IEM's at any time with more detailed, technical and revealing listening, but the fun you can get out of this is considerable and at an incredible value IEM at $24.90 USD, it sounds better than some IEMs in the market that are above it's price tag. 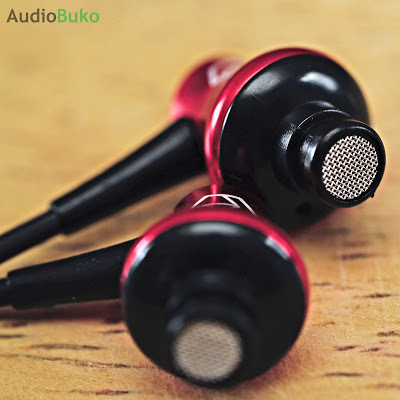 Nitpicks: Removable cables or easily replaceable cables, it's a shame since they sound real good but if the cables break, it might be hard to replace the cables.